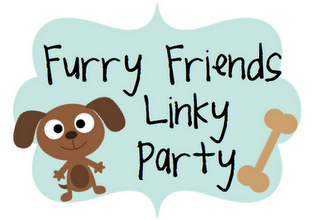 I'm linking up with Soaring Through Second Grade to introduce my fabulous furry friend. Harley is my love bug! I adopted him from another family when he was 4 years old. That was 3 years ago and I can't imagine being without him. He loves to chase lizards in my planters. I heart Harley! What a cute little face he has! I am so going to link up. I love all fury friends. Thanks for sharing Harley with us! Aww...he looks like a sweetie!! Oh jeez- what a cutie! Harley is wonderful! He and my Maggie would be good friends! I've linked up to the party too, so come by for a visit and meet Miss Maggie Bleu! Really cute! I love the Santa hat pic as well. Mine won't even entertain the notion of wearing anything-even just to snap a picture! He's gorgeous! And your pictures are so cute!